Becky McCray is someone we at Social: IRL first got to know through her work with Jeff Pulver in bringing his 140 Conference from New York City to Hutchinson, Kansas. Becky’s passion in promoting the message that small businesses and small towns matter, was pivotal in bringing this first 140 Local to the heart of the Midwest. From her home base in an Oklahoma community of just 30 people, Becky has taken her message to a national audience. 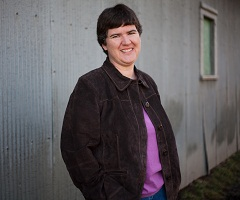 She is a recognized expert in rural small business and social media. She has been featured in The New York Times, BusinessWeek, and Entrepreneur Magazine. Her blog, Small Biz Survival, ranks in the top 20 small business blogs worldwide. She is listed among the 100 Most Powerful Women on Twitter. Along with Sheila Scarborough, she co-founded Tourism Currents to teach tourism professionals about social media marketing. They are considered highly influential in the tourism industry and organize the Tourism track at BlogWorld Expo each year. With her new book Small Town Rules, co-authored with Barry Moltz, Becky takes her small town message a stage further. In the book they show how the business world is like a global small town, and how even the largest companies must compete for customers as if they were small, local businesses. They reveal the seven “rural-style”solutions that have become invaluable to even the largest companies, most dominant brands, and most cosmopolitan businesses. 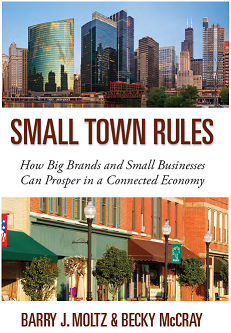 Small Town Rules was written to help large brands and urban businesses that are struggling with the uncertain economy, radical changes in technology, and seismic shifts in society. Today, brands find themselves trying to compete for local customers, while being bombarded by inbound messages from consumers and fans, while also coping with drastic changes in revenue. Small town businesses have been juggling this set of challenges for decades. Small towns become the learning labs for business today. Because Barry and Becky are both entrepreneurs, Small Town Rules also addresses the challenges of small businesses, no matter how urban or sophisticated. Special resources in the book address small business, and the Appendix includes small business ideas that were inspired by the Small Town Rules. If you want to do business on a human scale, no matter how large (or small) your organization is, this is a book that will serve as a truly valuable resource.